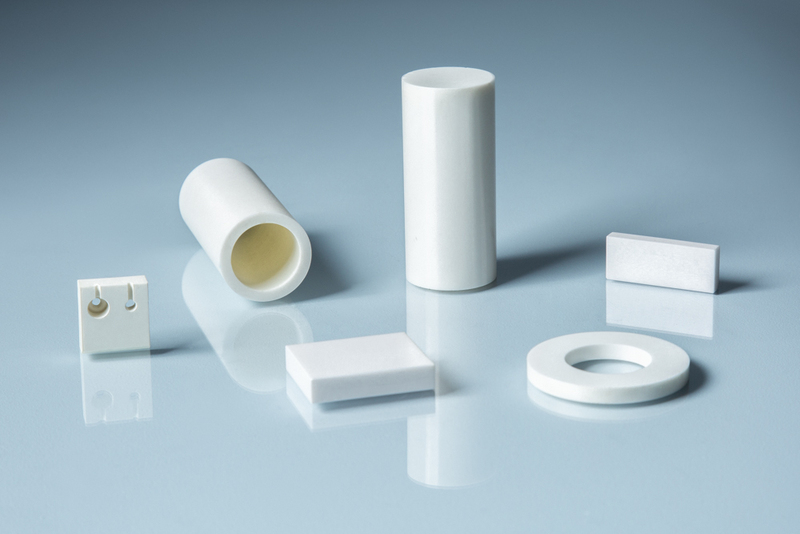 Zirconium oxide (Zirconia) is an extremely tough ceramic with a hardness of >9 Mohs which makes it and excellent material for extreme wear, high temperature and harsh environment applications.Zirconia ceramics have remarkable properties of strength, hardness and wear resistance in addition to withstanding attack from molten metal, organic solvents, acids and alkalis. They can also withstand high temperatures for long periods even under severe mechanical stress. Typical Applications include: volatile chemical solutions transportation, jet and diesel engine components, containers for molten metals, high speed cutting tools, high wear components, transistor insulators, dental implants, bearing balls, pump seals, and ball valves. Contact us for more info!